An under-threat Doncaster GP surgery has been saved after a nearby practice stepped in to take over its running. Fears were raised for the future of Barnburgh Surgery, because the current GP, Dr Karen Wagstaff, who is looking to leave, owned the premises as well as the NHS GP contract. It meant there was no guarantee that the building would remain as a medical centre. 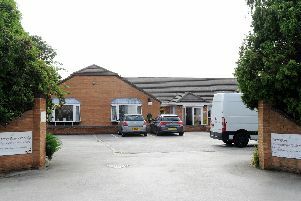 But now it has been confirmed that New Surgery, based at Adwick Road, Mexborough, will start providing care at Barnburgh Surgery on Wednesday, May 9, when Dr Wagstaff leaves. Dr Paloma Rodriguez, one of four GPs based at The New Surgery is promising a ‘seamless’ transfer for the 2,900 patients registered at Barnburgh. She said: “Dr Wagstaff has done an amazing job and we want to continue her good work. The New Surgery, which has around 7,500 patients and has been operating on or near its current site for more than 50 years, will not be affected by the acquisition of the contract for Barnburgh Surgery. NHS Doncaster Clinical Commissioning Group has managed the detailed tender process to ensure that a surgery continues to operate in Barnburgh. The organisation’s chairman, Dr David Crichton, welcomed the successful outcome, saying: “We advertised not just nationally but internationally to find a successor practice and in the end the solution came from just a few miles away in Mexborough.